What if The Dark Knight were in Tay-Tay's heels? This parody answers the question. You wouldn't want to anger Taylor Swift; she'll write a song about you. Just look at Katy Perry. The two pop stars had a nasty falling out, which Swift not-so-subtly alludes to in her song "Bad Blood." Its music video has been a hit, now numbering nearly 530 million views, featuring cameos from Swift's crew including Selena Gomez, Lena Dunham, Cara Delevingne, and Hayley Williams to name a few. It's ripe for a parody. Thankfully, that's all been taken care of by YouTube channel "How It Should Have Ended," famous for its alternative take on movie endings. 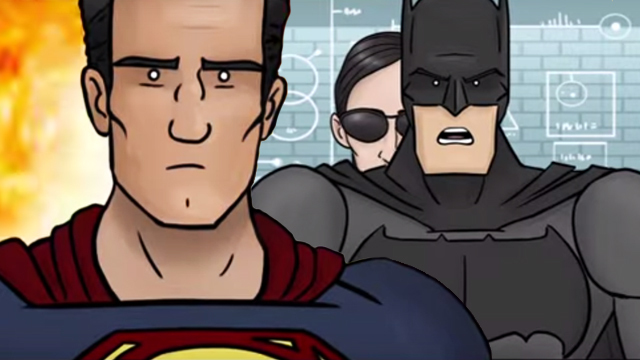 In their parody, Batman takes center stage as he sings about his beef with his former co-Justice Leaguer, Superman. The two will famously be butting heads in the upcoming 2016 flick, Batman V. Superman. CHILDHOOD RUINED: The Real Meaning Of 'Macarena' Has Been Revealed!